So I mentioned a little while back that we’re driving from Louisiana to Utah in a few weeks. This is brand new territory for me. I came later in my parents’ lives, way after their cross-country road trip days, so we never really did road trips growing up. When my husband and I were newlyweds, we didn’t really have a reliable enough car for much road-tripping, and then, up until this summer, we’ve always been able to find reasonable airfare within 4-5 hours of us. I’ve been checking airfare since the beginning of the year, but the same flights we took last year would cost us 3-4 times as much this summer. 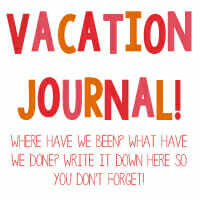 Throw in a car rental and we could seriously take a fully-loaded tropical vacation. So I’ve put together a binder of simple activities to keep my kids at least semi-aware of their surroundings. and stickers for the scavenger hunt. 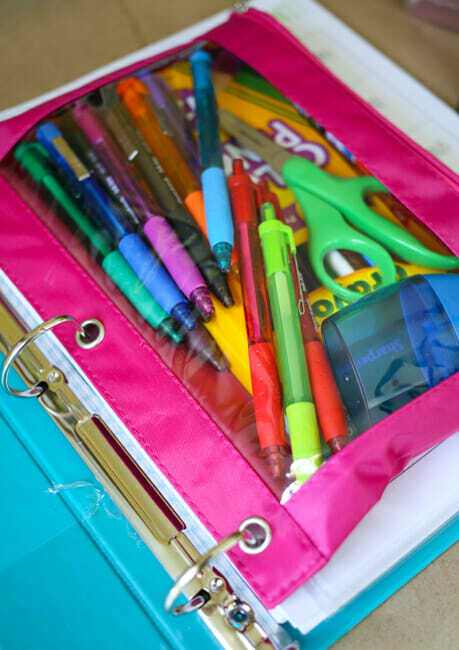 Place the filled pencil bag at the front of the binder. After the postcard passport, put several pieces of cardstock so kids can glue the postcards onto it. The Art Gallery goes next, followed by several sheets of plain white paper, then the vacation journal followed by lined paper. 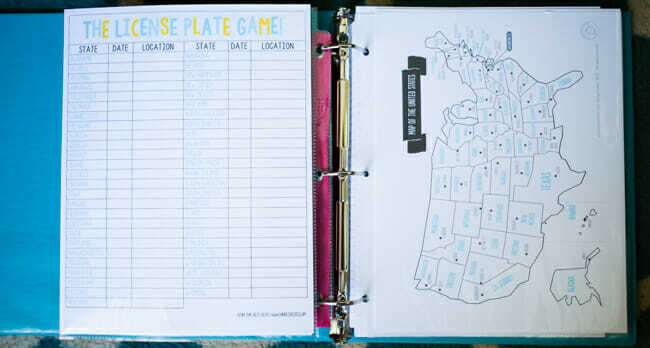 I’ve gotten some awesome tips on road trips so far, but now that I’ve shared these binders, I’m basically begging for your very best tips to keep all of us sane! We’re going to need them! Those look so fun. We have a road trip coming up also. I am not sure my kids are old enough for these yet. But they are super cute ideas! Yeah…haven’t totally figured out what to do with the 2-year-old yet, haha! My son will be 2 in August, when we will drive 2 days each way to visit my family… I’m already wondering what I was thinking! If you do think of great ideas for 2-year-olds, please, please post those! 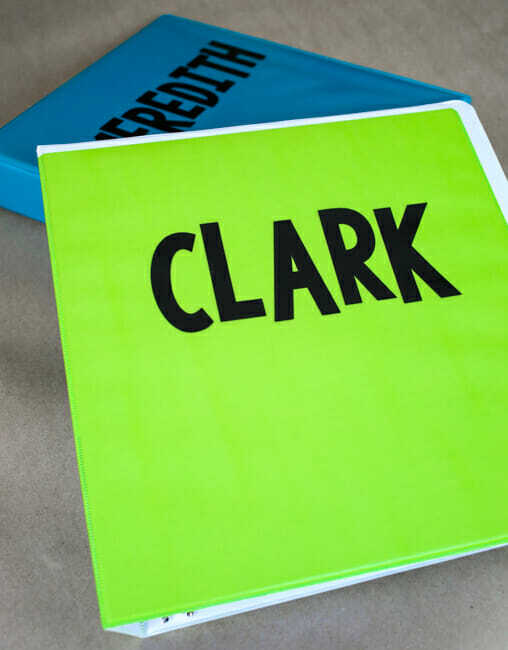 My older kids love new school supplies, so I think this binder is a great idea and I’ll bookmark it. Take it slow. We took 6 days each way so that we could stop at the Natural Bridge, St Louis Zoo, Cahokia Mounds, Liberty Jail, Carthage and Nauvoo, and other random local attractions. And we had a 9-day rest in Utah, with a family reunion at Bear Lake and a few days at Park City, etc. I tried to plan the travel time for each day so it wouldn’t be exhausting. And I made sure a hotel with a pool was waiting for us at the end of each day, with time to swim- this was huge for the kids, since we don’t have membership to any pools around here. I also made sure that breakfast was included with each night at a hotel, so we needn’t waste morning travel time (when everyone is rested and pleasant) by looking for that. Change seats. Every day we changed where the kids sat and who they sat by. It helps that my oldest can sit in the front now, so sometimes my husband or I was in the 2nd or 3rd row. I printed a map of the whole route (with every overnite stop and attraction labeled, etc.) big enough that it took 10 pieces of paper to print and tape together. Then I attached it to the ceiling of the car and got a laser pointer to show the kids our progress. I did not hear a single “are we there yet?” They would ask me to point out where we were and they could see where the next destination was. I had a big tub full of activities that were new to them (thank you, Pinterest) and I spaced out the presentation of them. I had a decent-sized cooler for lunch on the road (money and time saver, although we did often pull over to picnic at a local park), dinner was always eating out. I also had a bag full of surprises (candy, stickers, little toys, etc) that were wrapped and each time we stopped, those whose clip had not been removed from the visor for misbehavior got to open and enjoy one. It will be an awesome opportunity for memories. If you want to take a closer look at my road trip prep posts and my report of the trip, let me know. Good luck! Lynness, I would love to see what you did as we have a shorter trip coming up. Those sound like great ideas! Thanks! This is great! Where can I find you on Pinterest or your blog????? My blog (mostly just for letting grandparents know what we’re doing, so don’t expect much) is nlhawkes(dot)blogspot(dot)com- it’s not private, but I have it set so that search engines don’t crawl it for a little more privacy, so you have to know the address to get there. Just click on the “road trip” tag in the tag cloud and you’ll get 6-7 hits, and 4-5 of them refer to the trip I speak of. Great ideas!!!! Thank you! We live 8 hours (800km) from major cities so make long trips fairly often! Love all the comments on this post too!!! 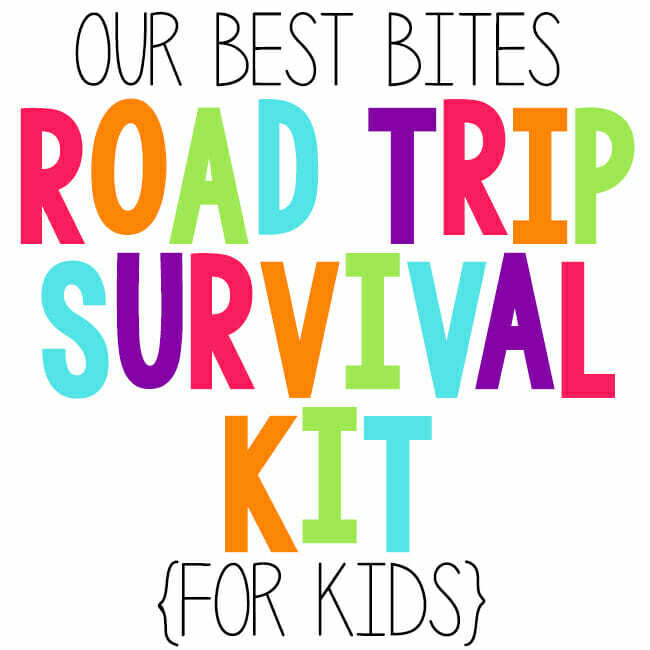 I’ve road-tripped alone with three kids before and we actually had a surprisingly good time! My kids are all too young for this (don’t ask what possessed me to have three kids so close together that none of them can read yet:) but we did some other things that may work for your toddler. This may sound lame, but I totally had a road-trip schedule: get up @ 4:30 a.m. and drive before breakfast, stop for breakfast and get dressed/brush teeth/do hair, drive and do activities/snacks, take a longish break for lunch/potty, put kids in pull-ups and have them do nap time while we get 2-3 hours driving done, stop for early dinner, drive for a few more hours, and then stop at a hotel and swim and go to bed. We always tried to be done driving by 7 p.m. It seemed like that was the most the kids could handle. We would do this everyday on the road and the kids did really well with it! My toddlers really loved Disney sing-a-long cd’s I would burn for them, sticker books, touch and feel board books, those magic coloring pages by Melissa and Doug (you know – the marker doesn’t color on anything but the special paper and it makes colors and pictures appear?) and of course tons of awesome snacks we don’t normally buy! When I road-trip by myself, I usually just plan on stopping real fast on the side of the road every 30-45 minutes to change out activities and snacks. Good Luck! Road-tripping with kids can be a lot of fun. My mom used to drive all 7 of us kids from Philadelphia to Utah every summer BY HERSELF! She made it so fun and they are some of my sibling and I’s BEST memories! Dollar store toys in a bag. Grab one out each hour! Start driving at three in the morning. That way you’ve had 5 hours of sleep and aren’t a zombi. The kids will sleep for the first 4-5 hours of traveling and then there’s a breakfast break after the first long stretch. Then you can go for 5 more hours until lunch. I wouldn’t let them turn on a movie until after lunch at 1. Then they could have an hour and then a break for an hour and so on. We did this all the time on our trips from OKC to Utah and it worked like a charm on the 18 hour straight through drive! My kids WON’T sleep in the car, so we usually don’t get up early. We just have crabby kids if we do that. We do let them watch movies, but usually they get bored anyway. 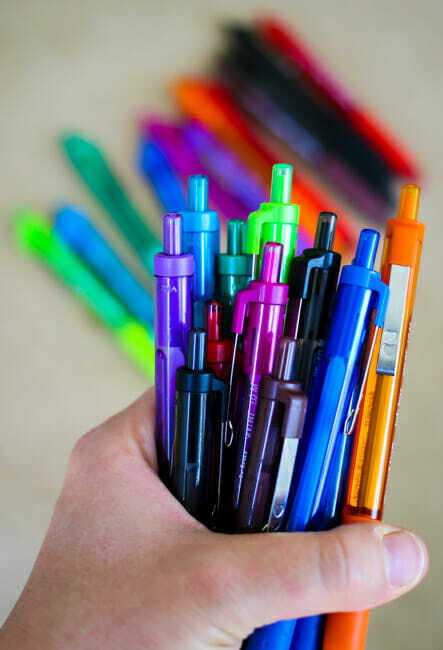 I try and pack things they don’t get often, color by number pages, giant coloring books, those little magic pen books (like little activity books, but you have to have the special orange pen?). I do remember taking a trip down the coast of Oregon with my family when I was nine. My parents took my backpack and filled it with presents! Every few hours I would get to open something new. Most of it was really cheap dollar store stuff, but I also got a new book, and a new My Little Pony. It gave me something to do, and I had something to look forward to. I haven’t done it with my boys, because our road trips are usually only about six hours and they are fine for that long. Have fun! Stop at rest areas and use the playground, or find a small town park right off the highway so the kiddos can burn off some energy. Books – either the kind they can read themselves, or a book you can read to them (or have on tape) to pass the time. My kids are big now and read on their own, but books like Harry Potter or Boxcar Children or whatnot are good to just listen to (if you don’t mind reading aloud, that is). Someone else mentioned snacks. We did homemade munch-mix, dried fruit, 100-calorie packs for snacks so we wouldn’t have to buy any and brought a small cooler filled with juice boxes or waters. The cooler even doubled as a tabletop between the boys for dice or cards or little pokemon guys. Let the kids pack their own, small, toy bag. We gave the boys a cinch bag and they could bring whatever fit inside – stuffed animals, matchbox cars, transformers, etc. Each kid was responsible for their stuff and all items must be in the bag when we stop for the evening and when we are ready to leave the hotel in the morning. Lost items are the owner’s fault. Outside the car games – like the license plate or I-spy or the alphabet game are great. You really burn up the miles playing them and they are always different each time so they never get boring. Best of luck – and have fun – on your road trip!! Great idea! I gave all the kids in our lives these for either Christmas or birthdays one year. They all loved them and still use them today! Good luck with your road trip! My daughter was lucky enough to have a best friend growing up who was an only child. So our daughter got invited to go on family vacation with them a number of years. One year, their destination was about 12 hrs away. I thiink they were preteens so you will have to modify these ideas to fit younger kiddos. But since the other family was footing the bill for the trip, I sent along “goodie bags” where the girls would open one item /hour in the car. The bags were identical and they would have to agree which gift to open. Everything was wrapped in something simple like newspaper or tissue. Some items were craft items that could keep them busy through the trip, sometimes it was a pack of gum or other treat or food or a little game of some kind. The favorite was a giant jawbreaker candy that gave them both chuckles for many hours. Good luck on your long trip–you are building family memories that I hope you kids will remember for all the right reasons! We took a road trip a few years ago when my twins were three. I bought cheap plastic serving trays at target and covered the bottom with glossy contact paper. They used dry erase crayons to color on them and it gave them a hard surface for other activities. I had a cardboard file box filled with gallon bags of activities (we were gone for 6 weeks, although not all time was travel time). Each bag had 2 of the same activity, note pads and stickers, color wonder books and markers, travel aquadoodles, giant pipe cleaners and foil for building blocks, play dough inside balloons. Probably the biggest hit was finger paint sealed in zip locks. I taped the bags to the trays and they pushed the paint around and mixed all the colors. I also used the iPhone app for roadside america. We planned some stops ahead of time, but if we needed a car break, I would put in our location and it would bring up unusual points of interest in the area. Yes, we stopped to see the largest ball of postal string! But there was also really great stuff like a huge dungeons and dragons themed playground in Illinois. If you don’t have an iphone, you can find things ahead of time on the website. We are about to go on another trip this summer. Now that they are older, I’m going to add these binders to my box. One thing I do with my kids is make them wait for things like snacks or a movie. We live in St. George and travel to Idaho and Salt Lake quite a bit (not exactly a 27 hour trip, but anyway…). We actually rarely do movies in the car because my kids are pretty good at entertaining themselves. But when we have we give them a certain point (usually the light house in Cedar City) that they watch for. When we reach that point they can have a snack or watch a movie. It works well because then they have something to look forward to and don’t use up the special stuff right when we get in the car. I also put together car bags for my kids for Christmas a couple years ago. I bought some cheap cookie sheets and then made up some magnetic stuff like Star Wars guys/ships, pictures of the kids, letters, etc. I also made them each a fun I Spy bag and stocked their car bags with some books, a pad of paper, and crayons. I made up an I Spy game with pictures of things we usually see on I-15. I also made a laminated checkers board with magnetic playing pieces that my boys like playing. I’m excited to check out your ideas. 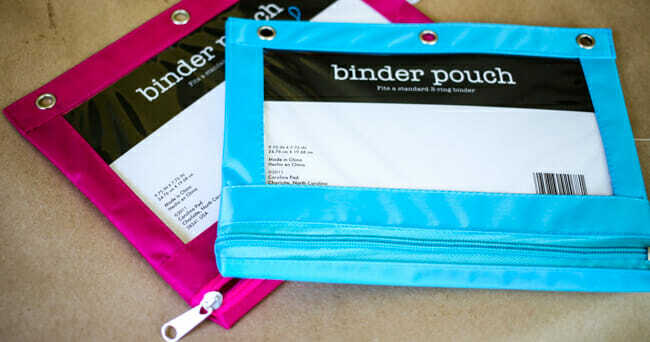 I love the binder idea because I feel like that’s something we struggle with in the car–keeping everything together and tidy! I love this so much Kate! I recommend Boxcar Children on audiobook as well. Most of the time with our long drives we’ve had the in-the-car DVD players that the kids could watch movies on, and that pretty much worked for them (we’ve never tried going more than about 13 hrs away, although one of those trips ended up being 18+ hours because of some really bad traffic). Sometimes we split it into 2 days, but the last time in Feb we drove straight through both ways, so it was a full day of driving. We’ve done the dollar store toys every hour or so, and that works really well. AND have TONS of snacks in a bag up front that you can pass out throughout the day – helps to not have to stop and get stuff at gas stations other than gas. We packed sandwiches or Uncrustables and granola bars for lunch, and things like oatmeal squares and nutrigrain bars and such for breakfast, so all we had to get on the road for fast food was dinner, and they were easy to eat in the car without too much mess. We stopped at rest stops to run for a few minutes every 2-3 hours or at bathroom breaks. My kids are obsessed with electronics though, and this last trip mommy and daddy were lazy, so we let them do video games and movies the whole way. The two older kids have Kindles, so we loaded up new free games for them, and then tried to put some movies on, but there wasn’t any space. So my husband found an external drive where we could load all the movies, and it acts like a network in the car, so the kids could connect and stream movies from the external drive and have plenty to choose from – worked FABULOUSLY! The 2 year old loves Mickey Mouse clubhouse, so I would just put on episodes of Mickey on my iPad and that kept her happy. My kids do NOT sleep in cars – ever. Just bad luck for me I suppose. Even when we get them up really, really early. My hubs and I downloaded the audio book for Ender’s Game, and listened to that in the front (the older kids had volume-limiting headphones for their Kindles), and about the last 3rd of the day my 10yr old decided he liked what we were listening to (much to my surprise) so he put his Kindle down and just listened to the audio book – now every time we get in the car he asks if we can turn it on again! we love road trips and always plan to stop every 2-3 hours for at least 10 minutes. It gives everyone time to stretch, we run/walk around a bit wherever there is space and go to the bathroom. we take a longer break for lunch and dinner and that helps to keep the peace too along with all of the other fabulous tips. The breaks are what makes it better for us and we only do one movie and keep the video games to a min. too, just like at home. If we need to drive longer one day we might let them keep it longer. Another thing that I don’t think anyone has mentioned is origami. It is easy and entertaining to make toys out of paper or one of our favorites is paper boxes to store little things in or decorate. Have fun and enjoy, getting there can really be half the fun if you make it that way. Books on tape. They are a lot better than movies because no one gets car sick, they last longer, they engage the kids imaginations, and kiddos can color and other stuff while it’s going. Magnetic Mr. Potato Head: I made a magnetic Mr. potato head from coloring pages. Then put it in a thrifted tin to keep it all together. It’s a favorite. Let me know if you want me to email you a copy. This year I am going to try the Lego travel kit and the marshmallow construction kit. Thank you Pinterest! One road trip with our nephews we gave each child a roll of quarters at the beginning of the journey. We informed them that the money was theirs to spend once we arrived at our destination if they were polite, patient, and obedient during the drive. However, if I had to ask them to do something (or not do something) more than once, they would lose a quarter. Once the first quarter was lost, they knew we meant business and the ride was super pleasant. (I also made sure we had plenty of notebooks, games, snacks, audiobooks, etc. to set them up for success.) Good luck with your trip! We take lots of road trips and have played the license plate game with our kids (now 21 and 24 yo) every summer for the past 18 years! Lol! I photocopy a USA/Canada map that does not have the states labeled so that the kids had to correctly locate the state then fill it in with labels or by coloring. My husband and I find ourselves still watching for license plates! We’ve gone all over with my two kids – one summer we traveled over 2,000 miles so needless to say my kids are pretty good road trippers! Funny enough, I’m actually launching a packing checklist next week with a whole section just on getting ready for a road trip with your kids. If you are interested in having me send it to you, just shoot me an email at hello@inkwellpress.com and I’d be happy to get that to you! I have a 2 1/2 yr and we frequent road trips to TX and beyond! We live in Baton rouge and we feel your pain!! One thing my daughter loves is bubbles. In the summer toys section at target (by the bubbles) I got her some of those mini no spill bubble blowers she can do all herself. Bc we know that’s imperative to a two year old. The bubbles are so small that I have noticed no mess. But to be honest. Even if it made a little mess I would be totally fine with it. I can clean a window after all- better than I can deal with screaming for 27 hours – my five yr old loves these as well. You’ll be so glad!! 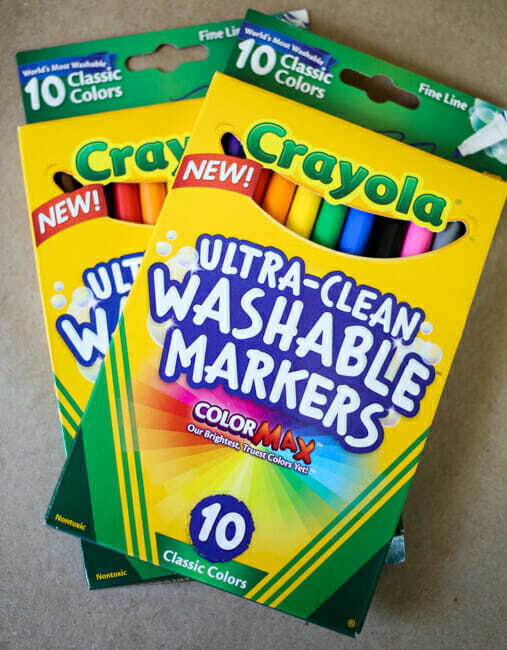 We also love to laminate dry erase activity pages and get those cute crayola dry erase crayons. We have 7 children and drove from Washington state to Utah every summer. Our kids loved The cooperation store. I would have fun things in the store like treats, sun glasses, coloring books, etc. that were tagged with a price in cooperationdollars (or cents). Every hour that each one had good behavior, they earned like 25 cents, and I wrote out a check to them. I just used checks from a closed account. They were all good travelers, and our trips are happy memories. Perfect post for me as we are traveling across the nation in a couple of weeks (31 hour drive with 2 kids and dog). This will be the longest we’ve ever gone so I’m looking for as many activities as possible. I love the folders. It will help reduce the clutter in the car which drives me nuts more than anyone else. 250 miles, 1000 miles, and 1200 miles to visit family – our kids spent a LOT of time sitting in a van growing up! My goal was always to get them to entertain themselves. To that end I kept a box of “car-only” toys under the seat: auto bingo, several magnetic games (all enclosed – no pieces to lose), wikki-sticks, pipe-cleaners. AAA stores and Cracker Barrels are good sources for these old fashioned types of games. We also brought a good supply of audio stories like “Jungle Jam” and “Adventures in Odyssey”, plus music that both kids and parents would enjoy. Each child (we only have two) was allowed one toy bag: a knapsack filled with their own choices of what to bring. A good run at rest stops every couple of hours, plus an enforced nap/quiet time in the afternoon, and the promise of a hotel with a swimming pool in the evening kept us all sane. One more word of advice: if the kids are quietly occupied, or even contentedly day-dreaming, don’t interrupt by asking them how they’re doing. You’ll just mess with their groove and make them irritated. I forgot to mention that a grid page in a plastic sheet holder and an erasable marker will allow for games like dot-to-dot, battleship, and hang-man. I drove from DFW to Yuma, AZ one year with all three of my boys (5,4 and 2 at the time)by myself. We bought a portable dvd player and used a portable speaker that they held back with them. I loaded up on stuff at the dollar store. 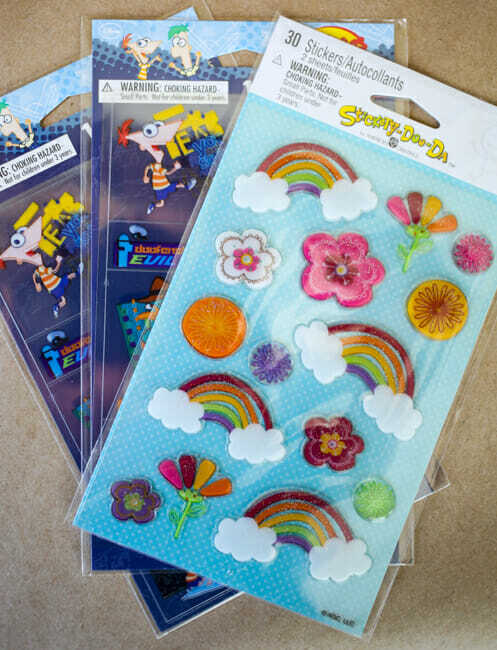 Cookie sheets and magnet letters and shapes, small pads of paper, coloring books, stickers, colored pencils (won’t melt, less likely to color anything in the car), those little cling pads that you lift up and then write again, small army men, little dinasours. The cookie sheets at the dollar store aren’t as big as regular ones, so that worked great for the magnets and a play base for the small figures. We used solo cups as snack cups, they fit in their cup holders (no plastic bags flying everywhere), my oldest helped distribute. I’d give him a bag of crackers or pretzels, and he’d give them to his brothers. We stuck to water in the car, I hate stickiness! I had everything in bags up front with me in the passenger seat, one bag for food, one for toys, etc. I would just feel around for the right thing and hand it back. Every once in a while when we stopped for gas I’d get them some gummy bears or something. They are boys, so of course peeing on the side of the road is entertainment! The movies helped too, driving through Texas is just about the most boring thing you can do! I made sure they could run around at some point in the day (park or rest stop). It wasn’t as bad as I had expected it to be! I just drove from Denver to Ohio with my 6- and 4-year-olds and I thought I would share a couple things that really kept them busy. They both liked making necklaces from beads and it kept them busy for quite a while. I just got some of that stretchy string and beads and put them in a container and they strung the beads while we drove. I also read about taking cookie sheets, which are magnetic, so I took them and it worked really well. They fit in the pocket on the back of the front seats and were great for coloring on and I put magnets on the backs of puzzles and on the bottom of game pieces so they could do puzzles in the car or play games. And, finally, I borrowed books on CD from the library and let them listen through headphones while we drove. I was surprised by how painless it was – when I was a kid we drove from Florida to Ohio at least once a year and I don’t remember ever having ANYTHING to do in the car besides look out the window, so this was a huge improvement. Also… snacks. Lots of snacks. We had cheese, yogurt tubes, grapes, and drinks in a small cooler in the backseat, as well as granola bars some candy (in case of emergencies) in the glove box. Good luck on your road trip – it probably won’t be as bad as you think!!! This isn’t breaking news, but audio books have been the best thing ever for our road trips (now 12, 9 and 7 year olds). The time passes quickly for everyone, and we’ve enjoyed all the Little House on the Prairie Books, Anne of Green Gables and some Raoul Dahl (so weird and great!). It’s actually entertaining for the grown-ups as well. 🙂 I love that we can still look around while listening, and even when the youngest was too little to really understand, he enjoyed just listening. For our kids, taking less stuff (toys, snacks, crayons, art) usually works out better. Just like at home, too many options sometimes just makes them crazy. Two more things: we had good luck leaving at 5 or so in the morning to get a few hours’ driving in before the kids were very awake, then my husband and I would take turns napping. Also, our kids are obsessed with their meals and snacks, but packing treats usually = grumpier kids, so I just stick with basic fruits, veggies/hummus, string cheese, etc., and everyone is happier. It’s tempting to pack a bunch of fun food, but no one is really happier in the end. We love, love road trips! We got rid of watching movies in our car a while ago and haven’t missed it. The kids fight less and are less whiny without the movies. I love your binder ideas! I am going to use these this summer. I have to suggest the Roald Dahl audiobooks. Penguin books redid the audiobooks a couple years ago and they are awesome!! Kate Winslet read Matilda and her voices are amazing! We have listened to the Fantastic Mr Fox and Charlie and the Chocolate Factory and Boy. They are all done by talented British actors (Boy was done by Matthew from Downton Abby). The voices they all make are hilarious and even my youngest (4) loved these. Also, have you listened to the Star Wars radio dramas done by NPR? My kids love these. They are really entertaining and different than a normal audio book. We’ve been on tons of roadtrips, the most epic of which was a three-week tour of the US (Michigan to Texas to California, and back). Crazy, but so much fun! Audiobooks are the way to go! I agree with the Roald Dahl series. Our favorite was The BFG. We also loved Harry Potter, Little House on the Prairie, and the most entertaining was the Artemis Fowl by Eoin Colfer. Hilarious! (This may be better suited for slightly older kids). When faced with buying an audiobook for the trip back, I cringed at the $20 price tag. But my husband remarked, “It’s $3 an hour for peace and quiet.” SOLD! This was before we had a DVD player in the car, but it kept my kids quiet. Also, giving the kids a bunch of pipe cleaners to play with and create with can be fun. You can play Battleship with page protectors and white board markers. 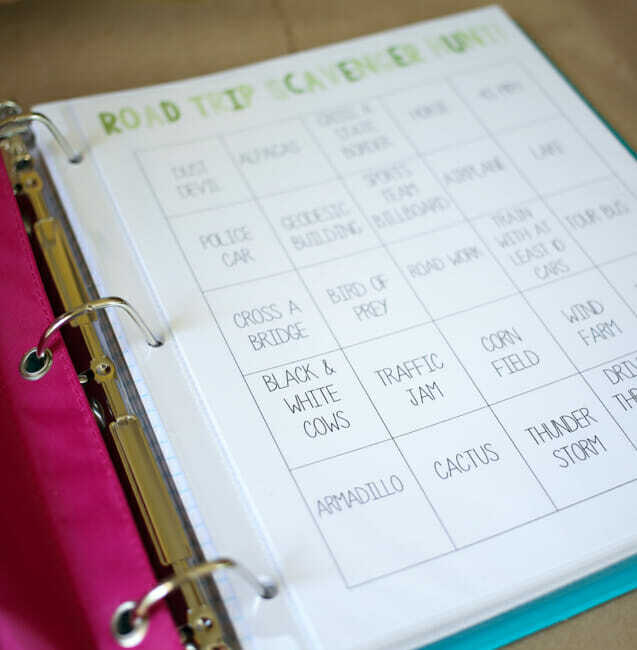 We played Scattergories, Apples to Apples dice, and the standard road trip games. I would limit prizes and treats to a couple a day. If you give them too often, they come to expect them on every trip. Instead I’d have a surprise time. I had a bunch of popsicle sticks with different activites written on them (games, dance party, 20 questions, prize from the bag, snack, etc.) I’d pick one and we’d do that. This mixed it up a little. I did bring magnet boards with lots of little pieces on time. That didn’t work out so well. The pieces went everywhere and were impossible to find again. And, if you can’t find a park to eat at, find a restaurant with a play place and just let the kids play. You can always buy their food and feed them once you’re back in the car. Lastly, one source for good ideas is http://www.momsminivan.com. I found tons of simple games and ideas there. Have fun! I haven’t read the other tips yet, so maybe this has been shared, but what I have learned through trial and error is to not show the kids everything too soon! After a terrible road-trip experience with the kids, the next trip I waaaay over prepared but just gave the kids a free-for-all with all the stuff I brought (there’s no way they can be unhappy with ALL this STUFF, right?!). They were through it all in the first hour and then were asking “what else you got?” Finally, the last trip we did I found the trick – at least for my kids. I had a number of activities planned, but made it a rule to only pull out one activity per hour. That way, the kids had to get creative in how to use the toy or activity to keep them busy for an hour. We would set a timer, and pull out a new activity after 60 minutes had passed. Some of the toys or activities were super simple, and I wasn’t sure how it would work, but once they caught on to the system, they were fine! We would alternate with fun activities together – like listening to/singing road trip songs, and then quiet activities that would give everyone a little break from each other. Checking out some read-along books with CDs from the library was really fun for my kids to either just listen to or follow along with. Good luck! I read that somebody gets one of those long arm grabber tools, and when the kids drop things, the mom uses it to pick stuff up off the back seat. Totally random, and I haven’t tried it yet, but super cool idea! These look awesome! Definitely something to do when my kids are old enough and we go on long road trips. Good luck on yours! where did you get the binder pouch? Love this idea! The link to the map isn’t working though ? rules were simple, for every hour that they behaved they got to choose from the grab bag. Each item was wrapped in tissue paper so they didn’t know what they were getting. Most times they had so much fun with the item they chose, they played well into the next hour. That’s how we ended up with extras. Do you remember those colored loops that came with a little mini looms that you would make pot holders from when you were a kid? One item was a bag of loops. They made bracelets and necklaces and played with those four hours it was awesome.